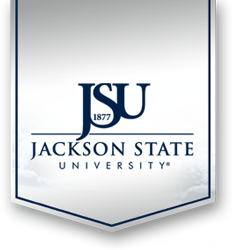 It is the policy of Jackson State University to provide Equal Employment Opportunities in all University employment-related activities such as advertising, recruiting, interviewing, testing, grading, training, compensation, promotion, termination, employee benefits, as well as in contracting. The University expressly prohibits discrimination in all these areas based on race, color, religion, gender, age, disability, or national origin, and provides for the full realization of equal opportunity within the University community. It is the policy of the University to select the most qualified person available for employment without discrimination based upon race, color, national or ethnic origin, age, gender, or disability. Additionally, the Office of Federal Contract Compliance Programs enforces for the benefit of job seekers and wage earners, the contractual promise of affirmative action and equal employment opportunity required of those who do business with the Federal government pursuant to 41 C.F.R. 60 and other applicable laws. The Affirmative Action Plan, combined with the University’s good faith efforts, will attempt to ensure that Equal Employment Opportunity is maintained. Affirmative action shall be taken when deemed necessary to maximize equal employment opportunity in a manner presented under present law. It will be the duty and responsibility of the Equal Employment Opportunity/Affirmative Action Compliance Officer (EEO/AA) in the Division of Human Resources to carry out these policies and procedures. The EEO/AA officer may be reached at thomas.k.hudson@jsums.edu or (601)979-6883. The EEO Office is located in the Division Human Resources building. Our business hours are from 8:00 a.m. to 5:00 p.m. Monday – Friday.